Melvin Pate, a father of three, was left a quadriplegic in the 2010 shooting, suffering a collapsed lung and a severed C5 vertebrae. 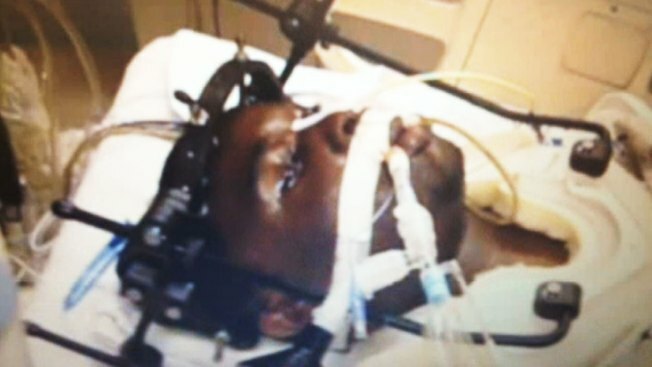 A Maryland appeals court ruled Thursday that a dying man’s blinking to identify a suspect in his shooting will be allowed as evidence in the trial. Jermaine Hailes is charged with murder in the 2010 shooting of Melvin Pate in Capitol Heights. Left paralyzed and unable to speak, Pate identified Hailes from a collection of photos, blinking when he saw him. The process was recorded on video. The defense argued the evidence can’t be used because Hailes can’t confront his accuser, a Sixth Amendment right, but the Maryland Court of Special Appeals ruled that a dying declaration is exempt. Similar evidence previously has been admitted into trial in the United States just three times.